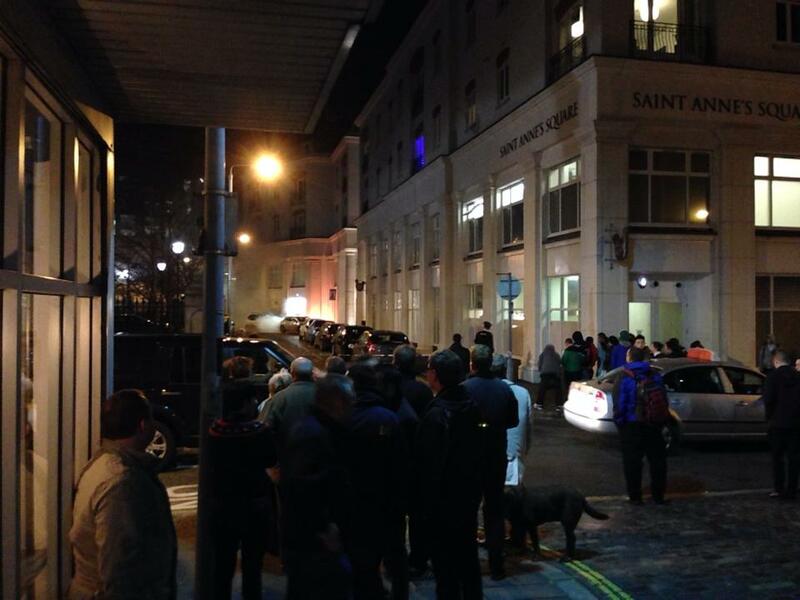 This was the scene last week when a bomb scare in Belfast caused the evacuation of bars, restaurants, and coffee shops on a busy Friday night. Some of my friends are in that picture. This and other bomb scares in the run up to Christmas have reminded me of an incident I witnessed growing up. When I was 11 I saw a bomb explode in Belfast. I never want to see another one. It was so utterly normal in those days that it didn’t really scare me at the time. It does now. 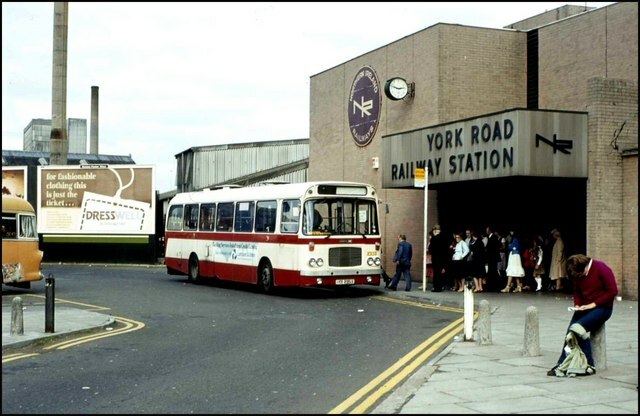 I was standing inside the train station at York Road – now Yorkgate – with my school pals, waiting for a train to take us home. They used to keep all us schoolkids in a big waiting area before letting us on the platform. We would visit the shop for ice-pops and frozen drinks while we waited. I remember it was always a scramble to see who could get the best flavours of ice pops before they were all gone. And that’s where we were that day, dozens of kids waiting for a train to get home, when there was an announcement to get out of the station: ‘bomb scare’. In those days it happened all the time. I remember thinking it was no big deal. In my childhood innocence I thought it was more of an inconvenience than a threat. We were taken up the road and stood a few hundred yards from the train station, laughing and joking and wondering how long it would be until we could get back into the station and home. It wasn’t long – maybe ten minutes – before the bomb went off. I still remember the explosion. It seemed to go on forever. Bits of buildings flew up in the air and took an age to come down. I remember being shocked at how far the debris traveled towards where we were. There was the rumble of concrete walls and roofs collapsing, and a big dust cloud where it went off. It turned out the target of the bomb was not the train station but the hotel next to it. The bomb destroyed the hotel. I don’t remember how we got home that day but it wasn’t by train. The train station was so badly damaged it had to be completely rebuilt. In those days there was supposed to be an early warning system to protect civilians. In our case it worked. We were the lucky ones, many others weren’t so fortunate. That’s why ‘bomb scare’ scares me. Bomb scares remind me how incredibly lucky I was. They remind me that life is precious and short, and that we only get one go at it. They remind me of my moral obligation to help contribute something positive to the place where I grew up to make it a better place to live. I’ve always believed doing nothing is not an option. If you live here you are part of the mess. It is up to all of us to sort it out. 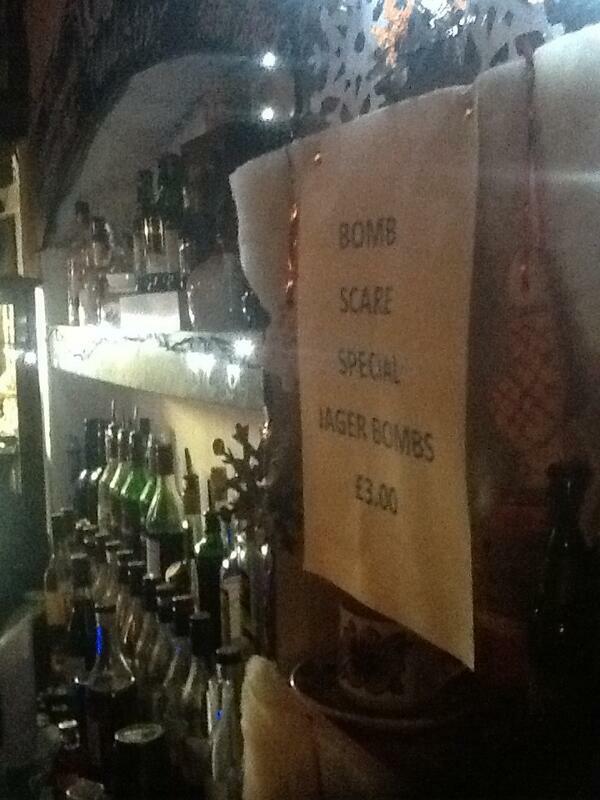 It’s also why I find it distasteful that in the last week some bars are offering ‘bomb scare special’ promotions (see picture on right). While perhaps not as bad as the more reprehensible ‘Irish car bomb’ shots that are sold in some bars in the U.S., I refuse to believe that this is the best Belfast can come up with. We can do better than this. I am thankful that I am yet to see another bomb go off in Belfast. We all owe a debt of gratitude to all those who helped build the peace we now enjoy, as well as those who continue to do so. The peace process may not be perfect but we owe it to them, and all those who were not so lucky, to keep it going.